Categories: Pocket Naturalist, Top Sellers. 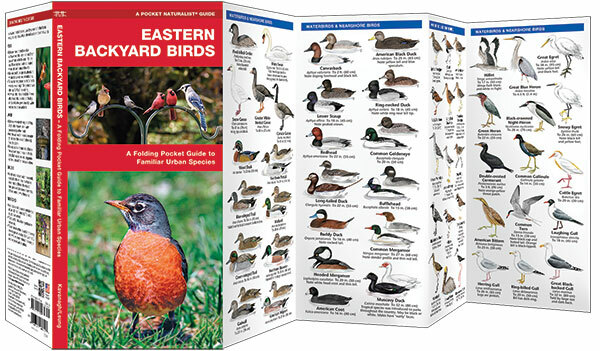 Eastern Backyard Birds is the ideal reference guide for bird lovers and nature enthusiasts living in the eastern USA (east of the 100th Meridian). This beautifully illustrated guide highlights over 140 familiar species and includes information on attracting, feeding and creating safe habitats for birds to rest and nest. 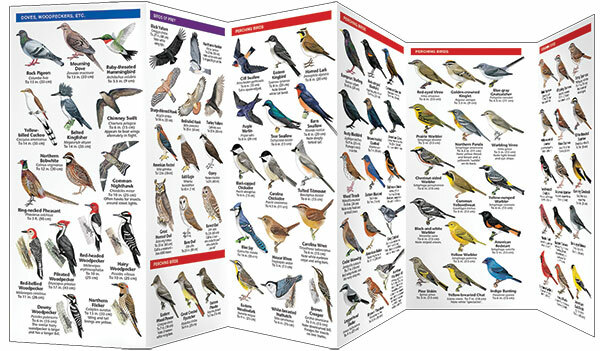 Laminated for durability, this lightweight, pocket-sized folding guide is an excellent source of portable information for both novice and expert birdwatchers alike. Made in the USA.